In case you thought Jay Z just rapped about his marriage now, please allow him to re-introduce himself. On Meek Mill’s new track, “What’s Free?”, the Jigga Man points weapons-grade lyrics at the President of the United States, and not —as many online have speculated— at his former collaborator Kanye West. Well, not directly, anyway. On first listen, many have tried to connect the cut off “spouse” line to West’s wife, Kim Kardashian. But, further examinations show Hov throwing swipes at Trump. 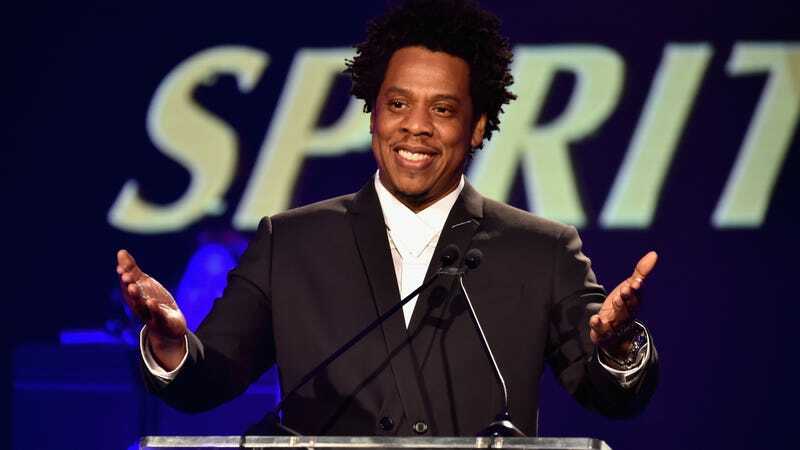 In January, the President asked in a tweet (of course) if someone could “inform Jay-Z” that he was the reason black unemployment was allegedly at “the lowest rate ever recorded,” after Jay had words for him on CNN’s Van Jones Show. But, even with all of the controversy surrounding Jay’s contribution, this remains a Meek Mill song. He shares the mental toll of constant imprisonment, both figurative and literal, by a corrupt system: “Seein’ how I prevailed now they try to knock me back / Lock me in the cell for all them nights and I won’t snap.” (Meek’s been in and out of prison since he was 18 years old, for various offenses.) This would have been the standout portion of the song, if Jay Z weren’t there. Rick Ross is there, too, but he doesn’t bring anything great to the table, unless you find homophobic use of the “f” slur great. Spoiler alert: It’s not. Despite years of friendship and music—including the co-headlining album Watch The Throne in 2011—West and JAY-Z began to fall out in 2016. However, in a November 2017 interview with Dean Baquet for the New York Times Style Magazine, Jay revealed that he’s back on speaking terms with Kanye. “[I talked to] Kanye the other day, just to tell him, like, he’s my brother...we gonna always be good,” he said.